A rare Chris Larkin ASAPJ from my personal collection. 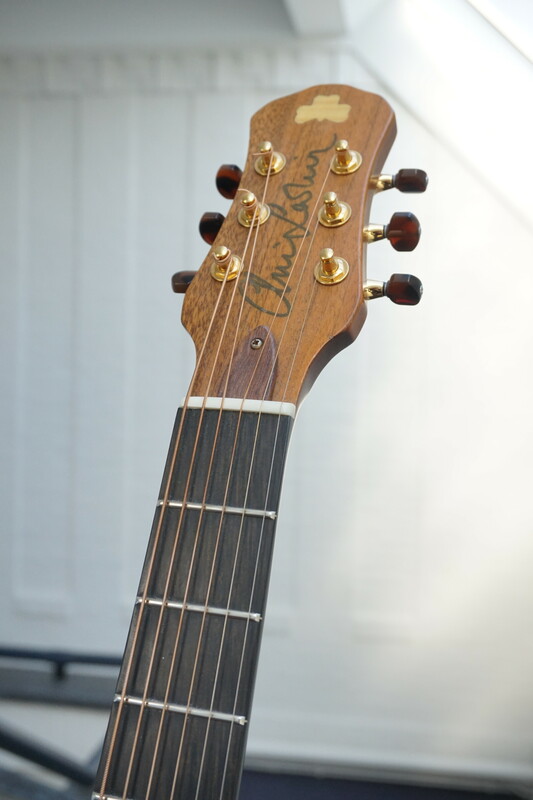 You don't see to many of Chris' guitar show up on sale, esspecially not his acoustics, and for good reason. Chris Larkin was an Irish luthier who made around 800 guitars in in career that spans over 40 years, until sadly he passed away in august 2018. 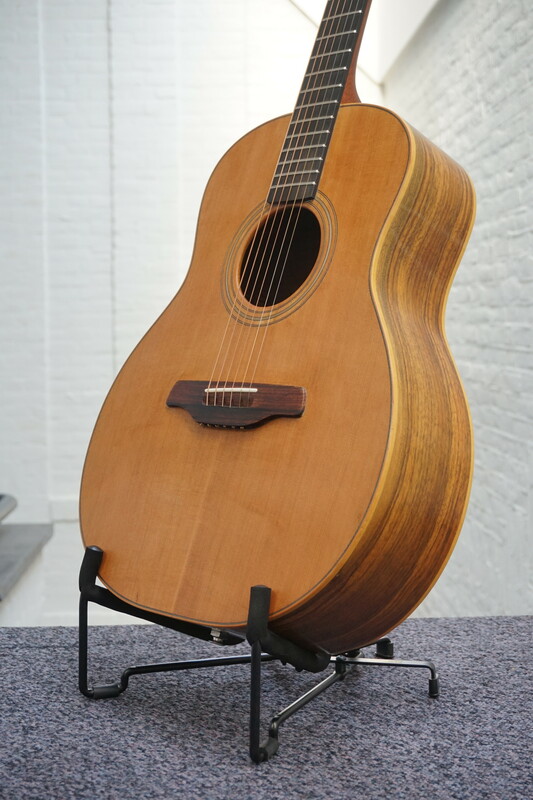 The ASAPJ is clearly made in the Irish tradition and has a shape and features reminiscent of Lowden or McIlroy guitars. 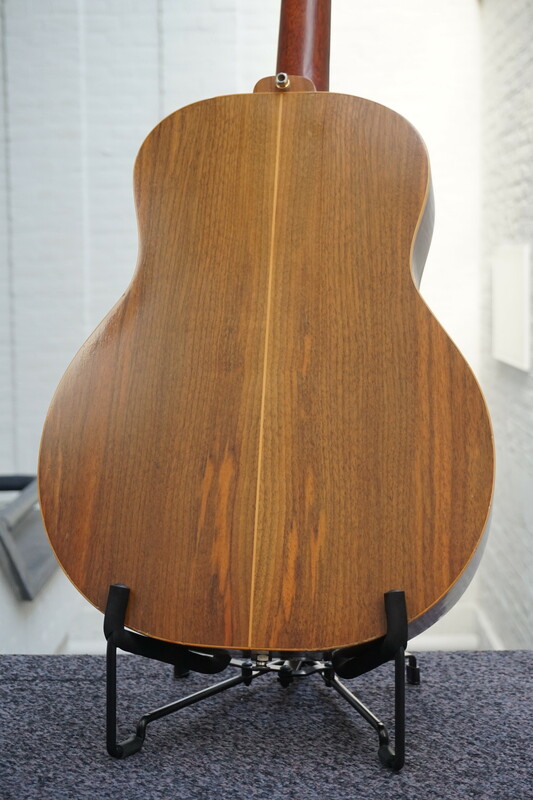 The back and sides are made of Black walnut, a typically very articulate wood that can be a bit bright sounding and is therefor often combined with a cedar top as is the case here too. 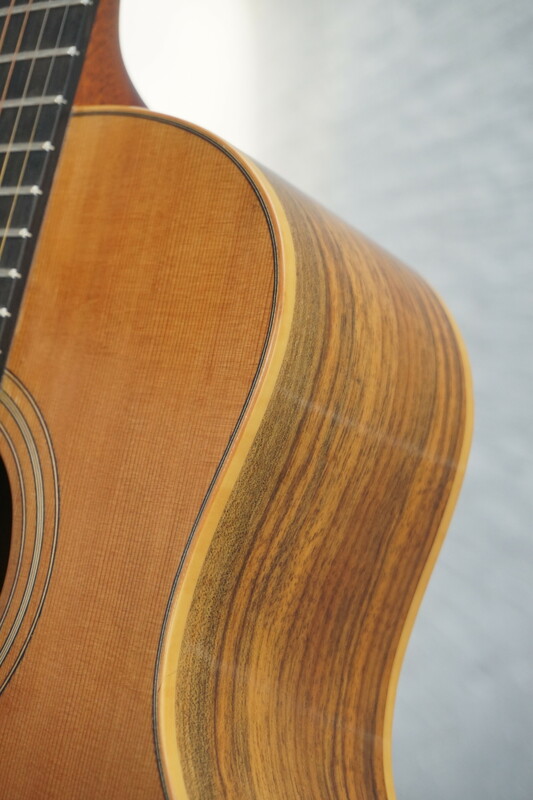 This combination gives the guitar a wonderfull clarity yet with a full bottom-end. 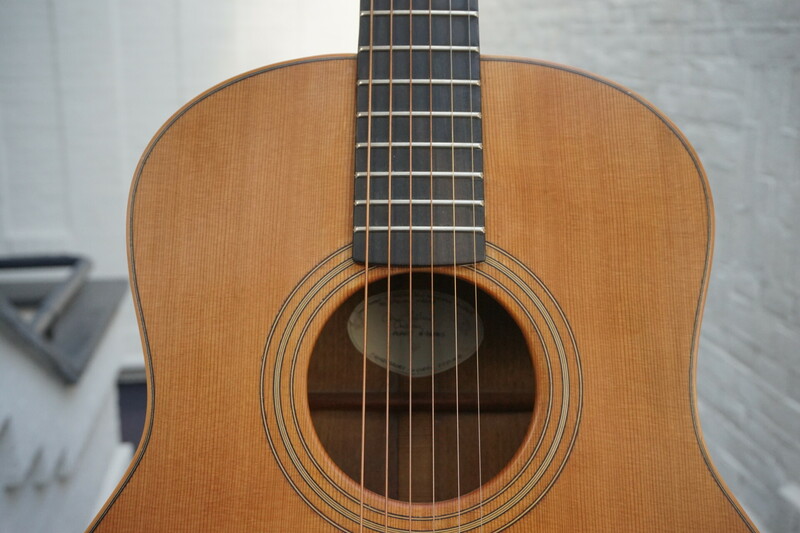 The J-version of the Chris's ASAP model also features a slightly deeper body to further increase the bottom-end, which makes it great for strumming, allthough due to it's clear tone the guitar is impressively suitable for fingerstyle too, a great all-rounder. 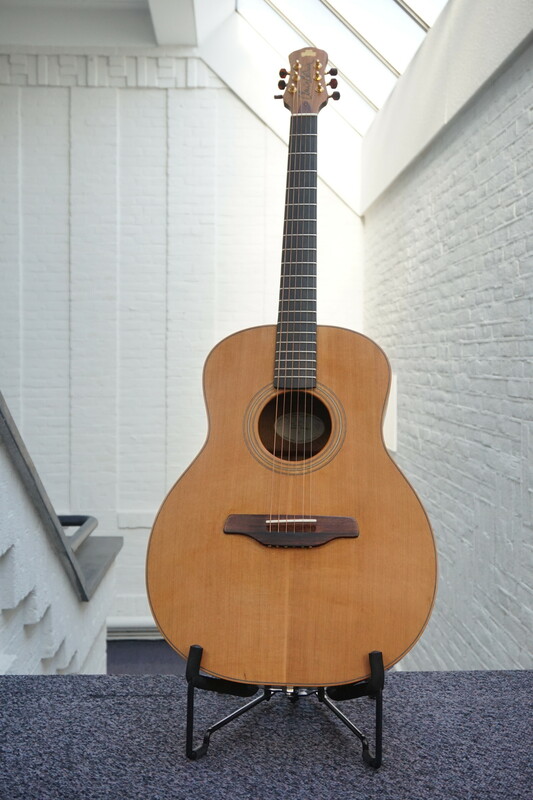 The guitar was custom-ordered by a musicstore in Germany which at the time sold many of Chris Larkin's instruments. 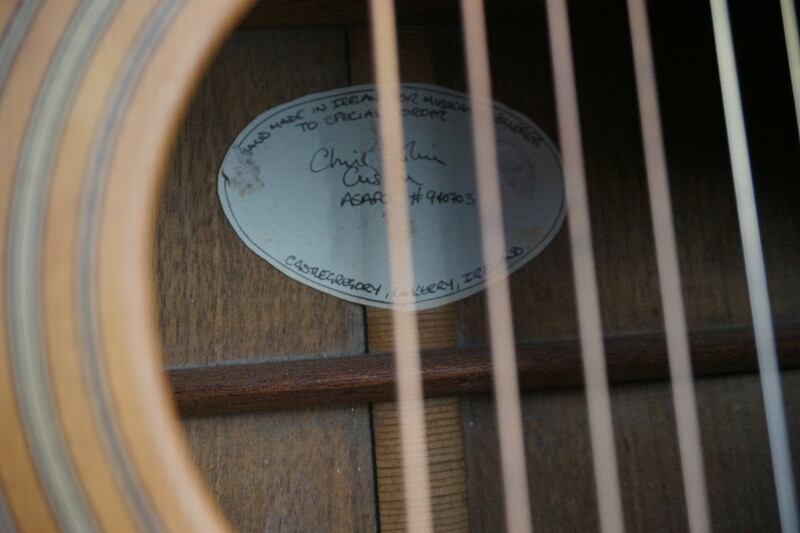 In fact it's one of the earlier acoustics Chris made hence it still has the hand-written label instead of the later labels with the artwork of Chris' wife Syra, who is a talented painter. It's clearly been played and shows some traces of use, but it's structurally sound with no cracks etc. Chris was able to tell me that the guitar originally came with an Indian rosewood fretboard, so the current ebony board is from a later dated. 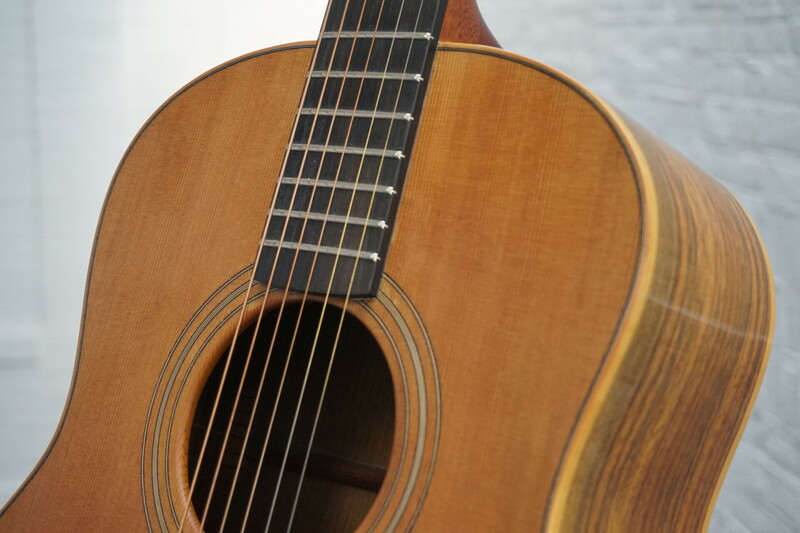 I'm not sure why to fretboard was changed, but it is common with Lowden guitars for instance to see a combination of an ebony board with a rosewood bridge, so a previous owner may have opted for a similar layout. This also means the frets were changed, and they are therefor in great condition. 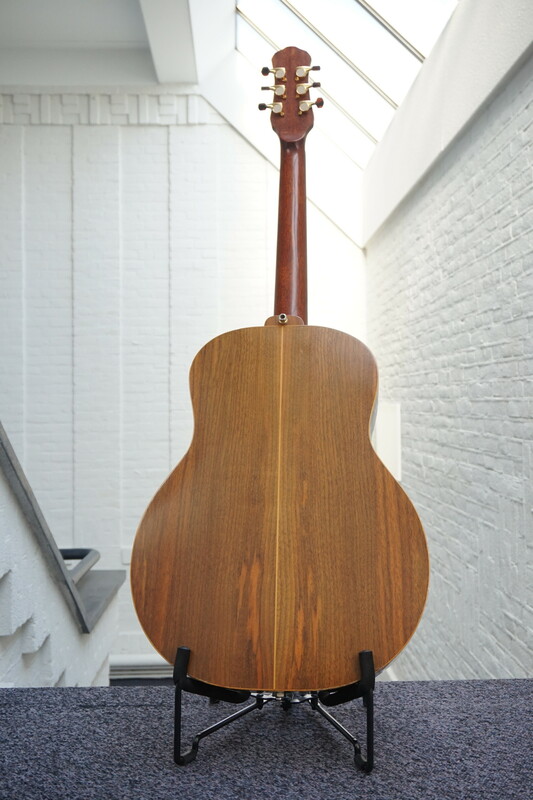 The neck by the way is made of Brazilian mahogany and has a nice substantial feel, which surely contributes to the powerful sound of the guitar. If you know the work of Chris, you know how good his guitars are, but if you're not I welcome you to give it a try and I ensure you'll be amazed.